Dr. Martin Luther King Jr. shakes his fist during a speech in Selma, Ala., Feb. 12, 1965. They’re dedicated to ensuring all children can go to school. Dr. Martin Luther King Jr. stood for equality, and eradicating poverty and promoting quality education were central to the Civil Rights Movement. His activism inspires young people around the world to continue fighting for social justice everyday. You can join us in taking action on this issue here. Martin Luther King Jr. dedicated his life to achieving racial equality. He wanted to create a world where black children could sit in desegregated classrooms and receive the same education as their white peers. King did not wait to stand up against the injustices he witnessed around him. When authorities retaliated against Claudette Colvin, a 15-year-old black schoolgirl who refused to give up her seat on the bus for a white man in 1955, King immediately helped investigate the case at the young age of 26. His bravery to amplify the black struggle led him to become the most influential civil rights leaders of our time. King understood education is the key to ending poverty and worked hard to eradicate systemic barriers that put black people at a disadvantage, by mobilizing people to push for change. “There are three urgent and indeed great problems that we face not only in the United States of America but all over the world today,” he said during a speech at Newcastle University in 1966. Before King’s life was cut short when he was assassinated in 1968, he launched the Poor People’s Campaign in the US. The economic justice initiative was revived 50 years later to pick up where he left off, but many other activists are continuing his legacy in their own ways. Now, a new class of young female activists is following in his footsteps to finish what he started. Young women around the world are fighting to ensure all people, regardless of gender, race, or economic status, have equal opportunities. They are doing so by advocating to stop child marriage, promoting diversity, and teaching parents to send their children to school. Here’s a list of five female activists who fearlessly took a stand for what they believe in, and would make MLK proud. Marley Dias arrives at the 2016 Variety Power of Women luncheon on Friday, Oct. 14, 2016 in Beverly Hills, Calif.
At 11 years old, Dias told her mom she was “sick of reading about white boys and dogs.” Her mom encouraged her daughter of Caribbean descent to do something about it — and the rest is history. 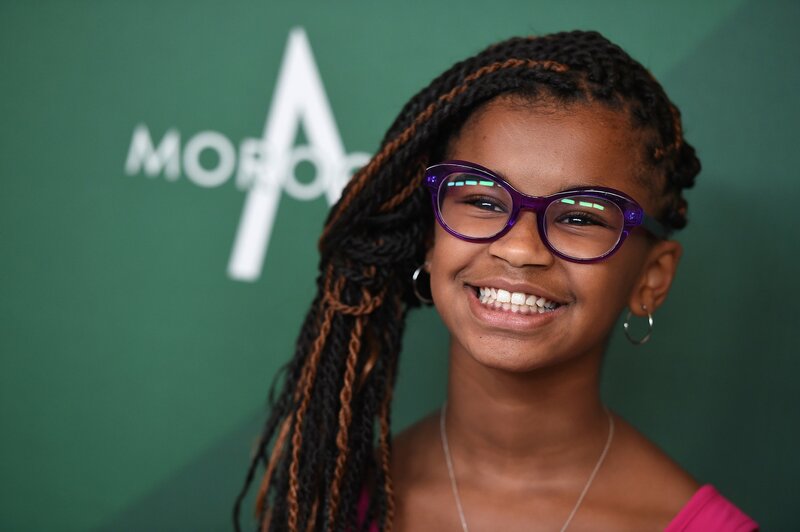 The middle schooler started a book drive called #1000BlackGirlBooks to collect books to donate to black girls and procured 9,000. “My parents have taught me the value of reading and self-love through books that have characters that look like me and talk like me,” Dias explained. Black girls in the US are held at higher standards than their peers and often don’t see themselves represented in books taught at school, making it harder for them to stay motivated. After receiving international praise, Dias won the “Dream Big Award” for drawing attention to the lack of diversity in school curriculums. 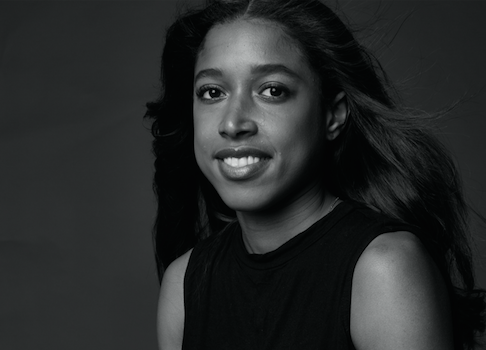 Dias is determined to keep helping young black girls succeed by providing them with engaging literature. The driven activist has already published her own book and continues donating books to low-income countries. Oduwole is a 17-year-old American aspiring filmmaker of Nigerian descent. After winning a competition to visit Ghana and create a film, she was shocked to see how many young girls weren’t in school and wanted to change it. “I am not always happy seeing children out of school; it is a signpost to poverty and bleak future,” Oduwole said. Parents in the African country don’t always have the money to pay for food and uniforms to send their children to school. Oduwole started the organization Her Dream Up, Speak Up, Stand Up (DUSUSU) at 10 years old to encourage African girls to get an education. Jangid escaped child slavery in Delhi, India, at the age of 14. Children who leave school early because they’re forced into labor usually do not go back to the workforce as adults and cannot escape poverty. When Jangidreturned to her village, she started advocating for girls’ education. “I want to fight for all children, especially girls. Here in Rajasthan, lots of girls are forced to work hard and get married when they are only 12,” she said. Have you heard of Payal Jangid? In the rural area, many young women are also forced into marriage and do not finish school. Child marriage — the marriage of a child under the age of 18 — is the main reason young women drop out of school in low-income countries. Jangid won a World Children’s award for uplifting her community and encouraging them to make sure girls receive an education. Eight-year-old Mari Copeny known as “Little Miss Flint” waves as she is acknowledged by President Barack Obama at Flint Northwestern High School in Flint, Mich., May 4, 2016. At the age of 10, Copeny wrote a letter to President Barack Obama, requesting a meeting to discuss the Flint water crisis. Lead piping has caused a deadly water crisis since 2014 in Flint, Michigan. Obama went to visit Copeny’s hometown, where nearly 100,000 residents of the majority-black, low-income population were exposed to dangerously high lead levels in the water. Humanitarian crises like Flint disrupt the schooling of 75 million children, but Copeny hasn’t lost hope. “Anyone can change the world no matter how small you are,” she told Fortune. Since meeting Obama, Caponey has donated more than 1,000 backpacks and school supplies to children in her city using the hashtag #PackYourBackChallenge. The campaign paved the way for Caponey to land the role as the youngest Women’s March Youth Ambassador, and work with the Nations’ Girl Up Initiative. Pakistan's Nobel laureate Malala Yousafzai speaks during a meeting with women who campaign for education and children's and women's rights in Sao Paulo, Brazil, Monday, July 9, 2018. Yousafzai was just 11 years old when she started writing an anonymous diary for the BBC about life under Taliban rule in Pakistan. 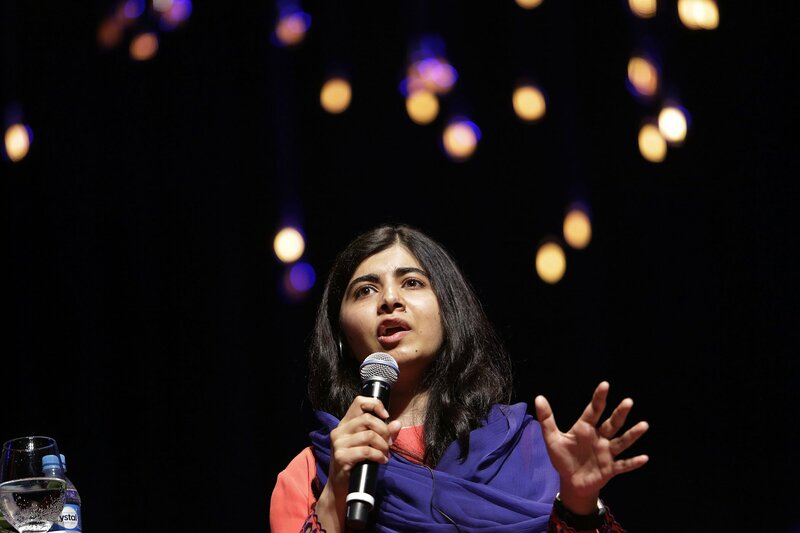 Yousafzai became an advocate for girls’ education after the militant group stopped her from going to school. In Pakistan, 4 out of 10 Pakistanis live in poverty, and education is their only chance to make a better life for themselves. For many women, gender inequality makes it even more difficult. Even after the militant group shot Yousafzai for threatening its ideology, Yousafzai kept fighting. At 17, she became the youngest recipient of the Nobel Peace Prize. Now at 21, between attending Oxford and writing books, she runs the Malala Fund to make sure girls around the world receive the education they deserve. “We want schools and education for every child’s bright future,” she said.